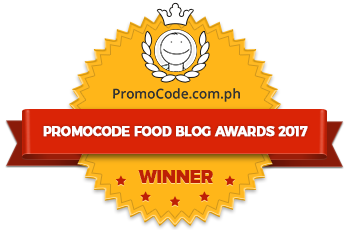 Bananas are a good source of Vitamin A, Vitamin B, Vitamin C, Calcium, Iron, Phosphorus, Potassium, Carbohydrates, Protein and Calories. Did you know that according to studies, snacking on bananas between meals helps to keep blood-sugar levels up and avoid morning sickness? That's true. Not just the edible part, but rubbing the inside of a banana peel on a mosquito bite is very effective in reducing itching and swelling! 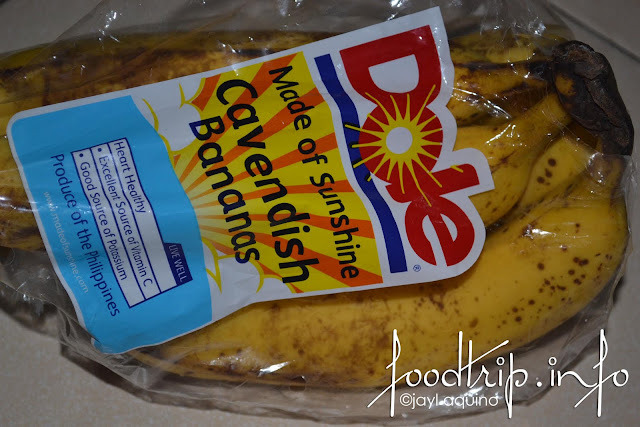 That's why Dole Philippines through their DOLE® Cavendish Bananas started a campaign to promote bananas which are packed with vitamins and minerals, as the best morning treat to give you the energy to last though the day. 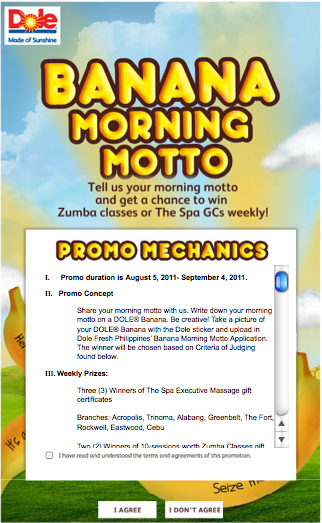 To further promote it, Dole Philippines via their Facebook page, launched a contest, they called Banana Morning Motto,that will run from Aug 5 – Sept 4, 2011. 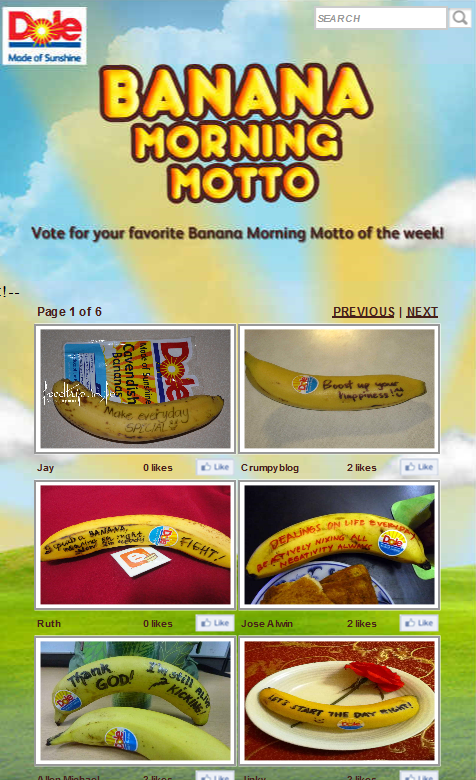 In Dole Philippines’ quest to empower its consumer and fans to own their respective mornings and inspire others by encouraging them to embrace positive mornings, Dole Philippines launched its Banana Morning Motto campaign where users write down their daily morning mottos on a banana! 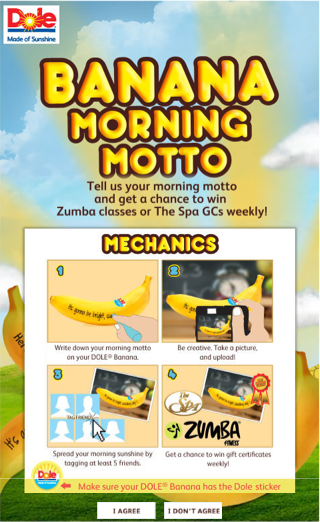 • And simply upload a photo of your morning motto written on a DOLE® Cavendish Banana (make sure you’ve got the Dole sticker in place). 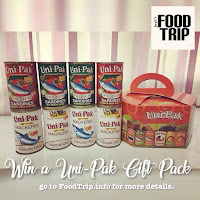 Share it with your friends to get votes and increase your chances of winning! 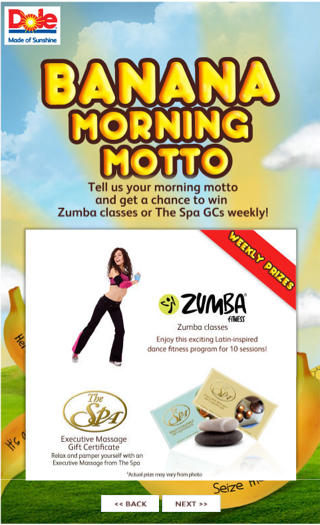 The contest runs for 4 weeks, until September 4, 2011 – where one winning entry per week is awarded amazing prizes such as an Executive Massage gift certificate from The Spa, as well as free ten (10) sessions of Zumba Classes. 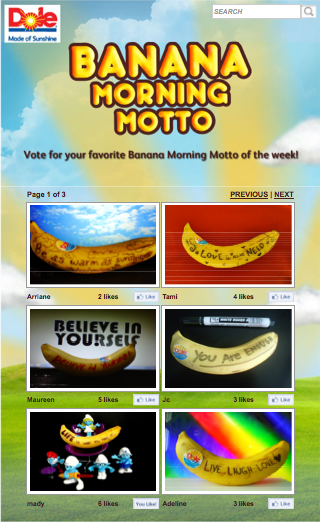 Banana's my favorite fruit and this campaign is a good way to promote banana. 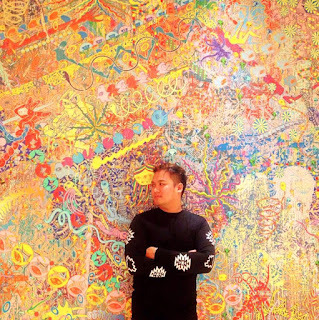 Good luck to DOLE!